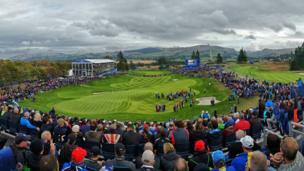 A selection of your pictures of Scotland sent in between 26 September and 3 October. 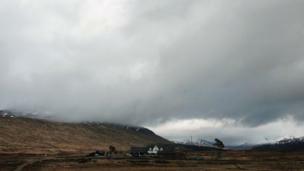 Is Corrour railway station, nestled in the midst of Rannoch Moor, one of the most remote in the UK? Syazwan Asyraf, from Glasgow, certainly thinks so. 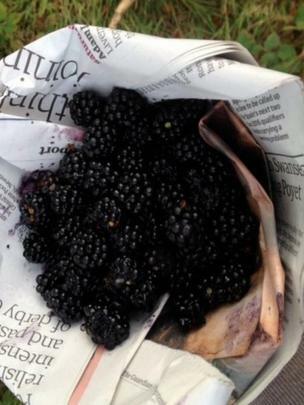 A key ingredient in apple and bramble crumble. Kath Manners, from Orkney, said daughter Paula did the honours after a visit to Gleniffer Braes Country Park. 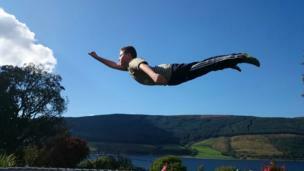 Alan Stewart's son Alan appeared to take flight in the garden - thanks to a trampoline. Photo taken near Loch Striven, Argyll. 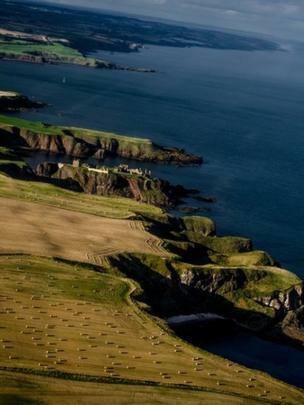 Aerial view of Dunnottar Castle. Norbert David, from Aberdeen, was flying with a friend. 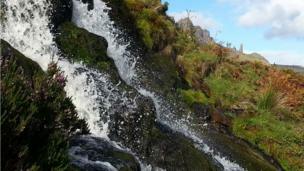 Richard McKay, from Edinburgh, photographed this waterfall in the Trotternish Peninsula. The Old Man of Storr is in the background. 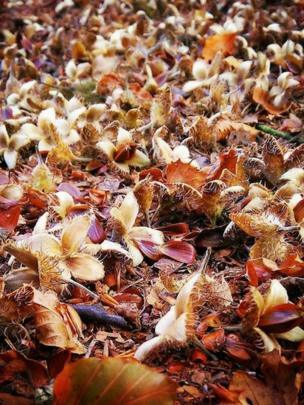 Beech nuts under a tree near Rumbling Bridge. Helen Thom and her children were there on Sunday. 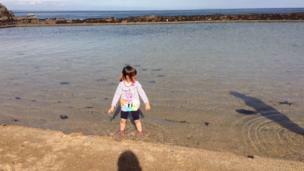 Wednesday, 1 October, and Anna Mcleish's daughter braved dipping a toe in the water off North Berwick. 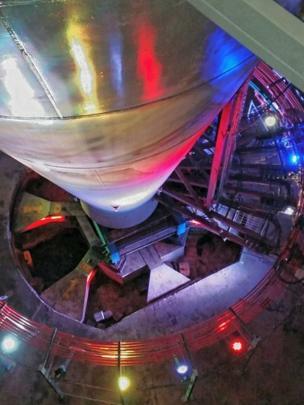 Robbie Findlay's photo: "it looks like something out of a Star Wars set, but it's the new bearing fitted to the Glasgow Tower". 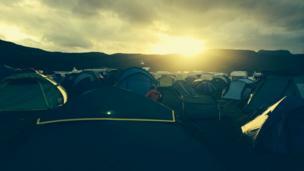 Campsite at Loopallu music festival. Jamie Hastings, from Aberdeen, was there at the weekend. 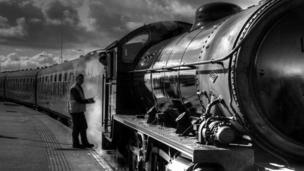 Wull Taylor, from Pencaitland, took this photo of the Jacobite steam train at Mallaig station. 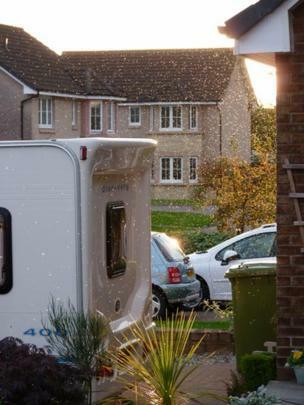 Midges descend on Menstrie. Tony Shillam braved this gathering on Monday evening. 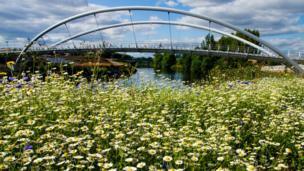 Douglas Malcolmson took this photo while on a walk along the River Clyde, between Dalmarnock and Glasgow Green. 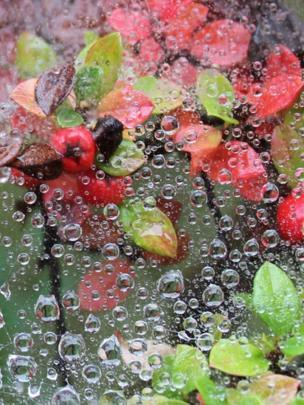 Water droplets caught on spider webs in Alison Forsyth's garden in Westhill, Aberdeenshire. 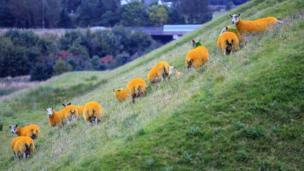 Niall Foley titled this picture 'Hi-viz sheep' and said it was to highlight Guide Dogs Week (4 October – 12 October). 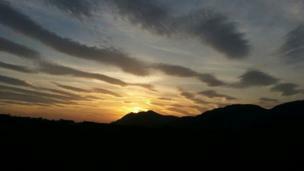 Sunset over the Ochil Hills was photographed by Kenny Bett from Alva.